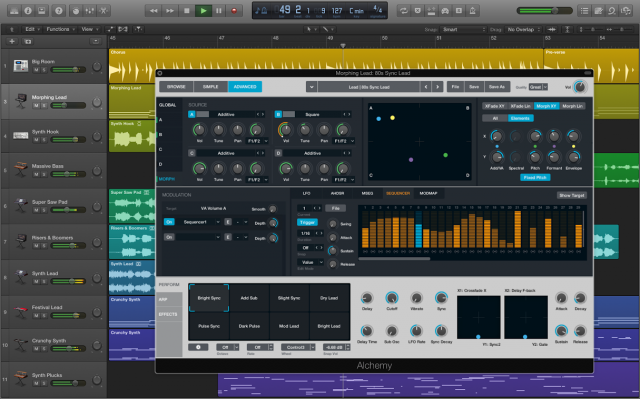 CDM says, Alchemy will be part of Logic Pro X. So if you are a user, you will be an alchemy-user soon, which is a good thing – maybe they do more than this in the future. But they finally got something interesting added to the „why Logic X today“ list. Btw.- FX and things like „Phat“ which were cool and fast tools for producing music might be in and integrated sooner or later as well, since it totally makes sense. And there will be connections between Logics Sampler and Alchemy etc. – so it is not just the same – it’s more integrated into the eco system also adding Gobbler, a networking service for music. Read all Logic X 10.2. features in the Comments..
You can get „Main Stage“ with Alchemy as well for about 30€. Logic X wird mit dem kürzlich aufgekauften Camel Audio additiv-Synthesizer Alchemy ausgestattet sein. Da Camel Audio auch einige nette Effekte und Tools anbot, muss man davon ausgehen, dass auch die Einzug erhalten werden. Das würde das Paket Logic insgesamt aufwerten und etwas praktischer machen, denn es gab ja schon einige Zeit nicht mehr wirklich etwas Neues – eher ein wenig Facelifting. Auch ich bin noch bei Logic 9. 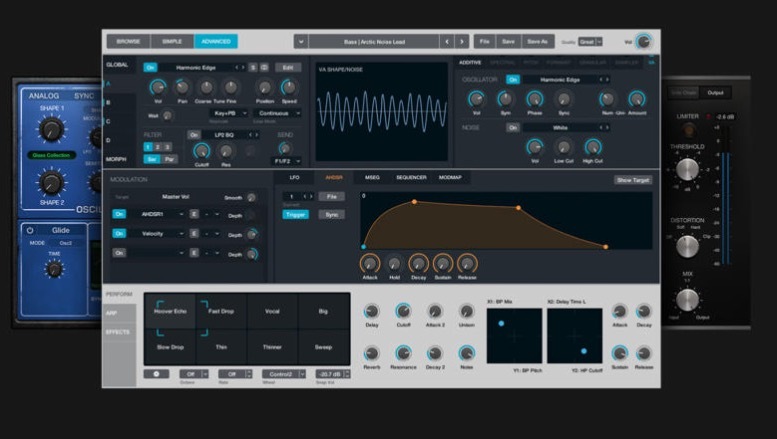 Es werden der Sampler (ESX) und andere Komponenten von Alchemy mit Logic verbunden! Super ist, dass Alchemy in vielen sogar mal wesentlichen Punkten aufgewertet wurde, also das ist nicht nur ein Update. Außerdem kommt wohl der Gobbler mit ins Spiel, Eine Art Fernmusiziertool, was offenbar nun auch integriert ist. in Main Stage für 30€ ist er auch enthalten! Zurück WDR5: Leonardo – 10 Jahre nach Bob Moogs Tod. It’s now possible to vertically swipe to affect multiple instances of the Record, Input, Mute and Solo buttons in the track header. It’s now possible to delete a single MIDI take from within a Take folder. It’s now possible to close the Track Header configuration pane by clicking outside the borders of the window, or by toggling it with the Configure Track Header key command. It’s now possible to set the icon for all selected tracks simultaneously. It’s now easier to grab the Playhead in the Piano Roll editor. It’s now possible to use the Pencil or Brush tool to insert notes into an empty region when Collapse Mode is enabled in the Piano Roll. It’s once again possible to access the Velocity tool in the Piano Roll using Control+Command as modifier keys. It’s again possible to edit the position of events in the Event List when the View > Event Position and Length as Time option is enabled. It’s again possible to set the Channel value for multiple events to MIDI channel 1 by dragging the value of one selected event while pressing Option and Shift in the Event List. It’s again possible to continue editing multiple selected events in the Event list when one or more events has reached its minimum or maximum possible value by pressing Option while dragging the value of one event. It’s no longer necessary to scroll in the Audio Track editor to show the note bar display for flex-pitched regions. It’s now possible to define a MIDI pitch for applicable input fields in the Transform Window using live MIDI input. It’s no longer possible to set the Step Input keyboard to octave ranges below the allowed MIDI minimum of C-2 with the Octave -1 key command. It’s now easier to grab and drag up an automation line defined by two points at the bottom the automation lane. It’s no longer necessary to press Return or Enter to confirm the name of a new folder created in the Plug-in Manager. It’s again possible to step through parameters using the left and right cursor keys on Emagic Logic Control hardware. The “grace period” for MIDI notes played before the start of a project is again always a quarter note, regardless of the Cycle and Cycle Pre-Processing settings. It’s now possible to delete the first Tempo Set in cases where more than one Tempo Set exists. It’s now possible to copy/paste tempo events from the Tempo List to a new Tempo Set in the Tempo track. After a Marker List editor has been closed, it no longer reappears when a screenset is recalled, or a song saved after closing it’s reopened. 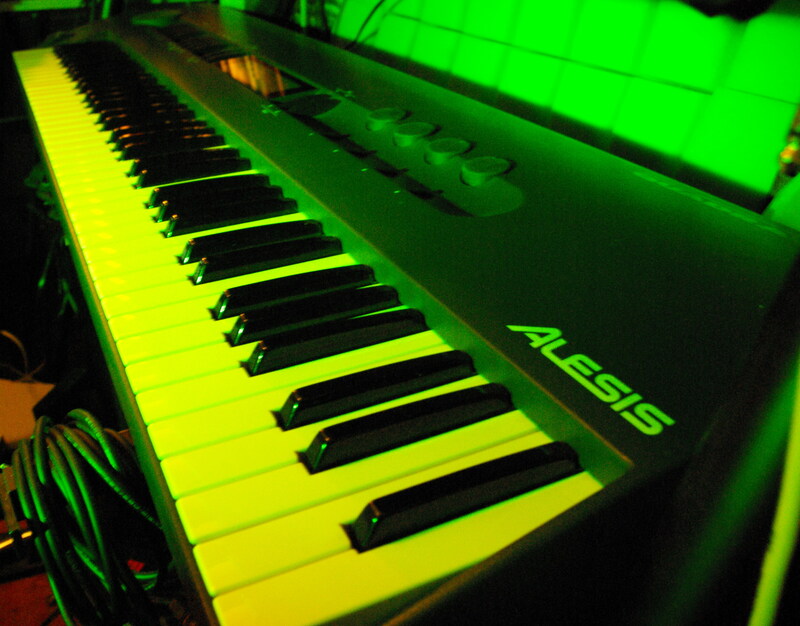 It’s again possible to learn MIDI commands when the MIDI port is set to All.